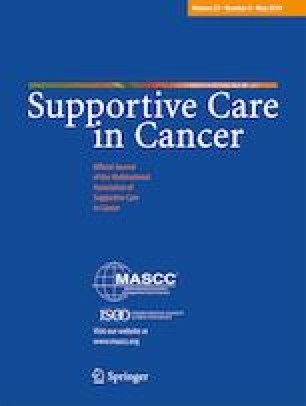 The purpose of this study was to examine the associations between self-reported spiritual/religious concerns and age, gender, and emotional challenges among cancer survivors who have completed a 5-day rehabilitation course at a rehabilitation center in Denmark (the former RehabiliteringsCenter Dallund (RC Dallund)). The data stem from the so-called Dallund Scale which was adapted from the NCCN Distress Thermometer and comprised questions to identify problems and concerns of a physical, psychosocial, and spiritual/religious nature. Descriptive statistics were performed using means for continuous variables and frequencies for categorical variables. Odds ratios were calculated by logistic regression. In total, 6640 participants filled in the questionnaire. Among participants, 21% reported one or more spiritual/religious concerns, the most reported concerns related to existence and guilt. Having one or more spiritual/religious concerns was significantly associated with age (OR 0.88), female gender (OR 1.38), and by those reporting emotional problems such as being without hope (OR 2.51), depressed (OR 1.49), and/or anxious (OR 1.95). Among participants, 8% stated they needed help concerning spiritual/religious concerns. Cancer patients, living in a highly secular country, report a significant frequency of spiritual/religious and existential concerns. Such concerns are mostly reported by the young, female survivors and by those reporting emotional challenges. Spiritual/religious and existential concerns are often times tabooed in secular societies, despite being present in patients. Our results call for an increased systemic attention among health professionals to these concerns, and a particular focus on identifying and meeting the spiritual/religious and existential concerns of women, the young and those challenged by hopelessness, depression, and anxiety. The authors wish to thank the Danish Cancer Society for the many decades they have financed the Rehabilitation Centre Dallund, where all data of this study was collected, and to thank all the cancer survivors who participated in the study. We also wish to thank Tom Kristensen who developed the Dallund scale. World Health Organization. International classification of functioning disability and health (ICF). 2001. http://www.who.int/classifications/icf/en/. Accessed 23.10.13 2013. National Comprehensive Cancer Network (NCCN). NCCN distress thermometer and problem list. 2018. https://www.nccn.org/about/permissions/thermometer.aspx. Accessed 04 Nov 2018.